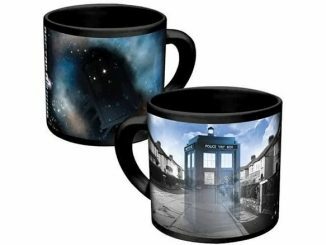 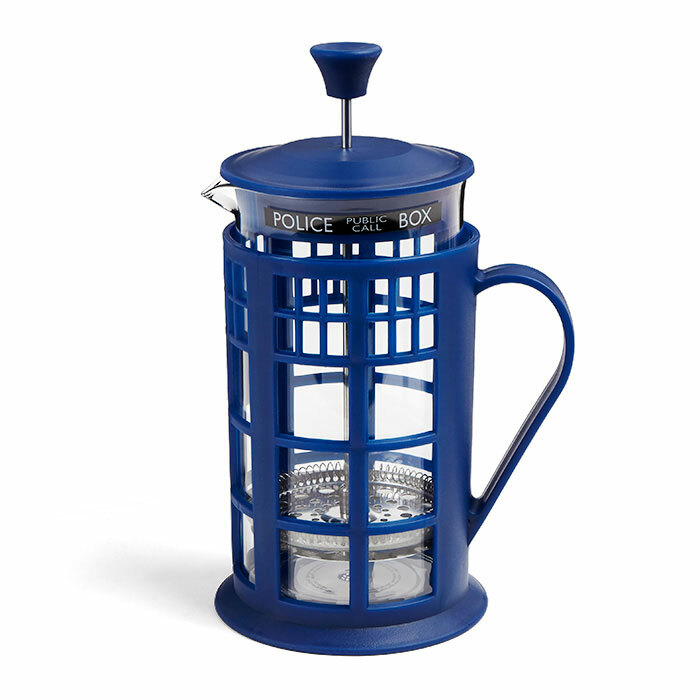 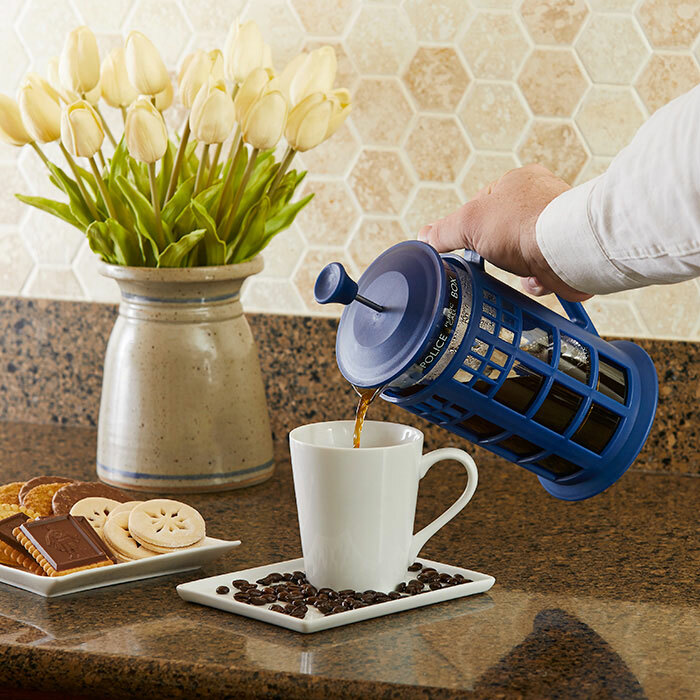 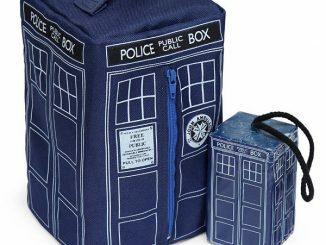 If you love French press coffee and Dr. Who, this Doctor Who TARDIS Coffee Press is for you. 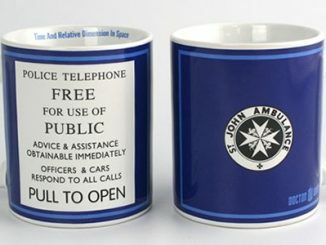 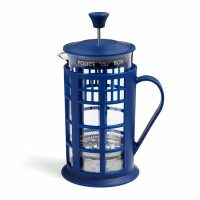 Featuring a fabulous blue police call box design, this french press can brew up to 34 ounces of coffee at a time. 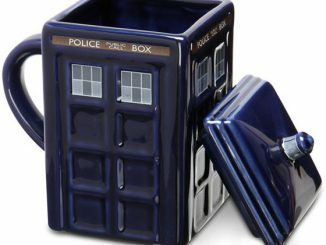 It doesn’t look that big, but perhaps it’s bigger on the inside. 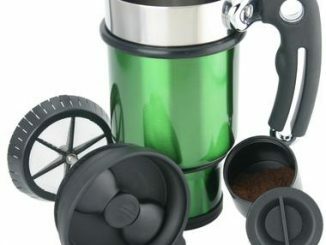 Many people think that French press coffee tastes better than coffee made from other brewing methods. 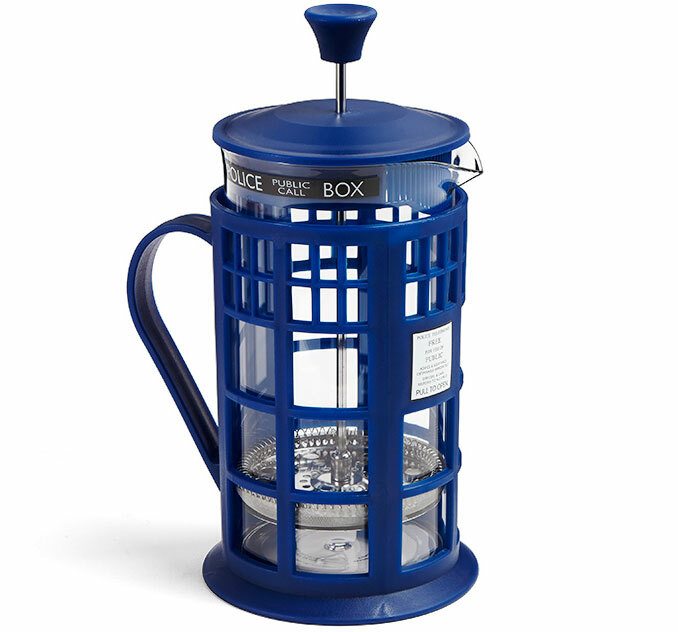 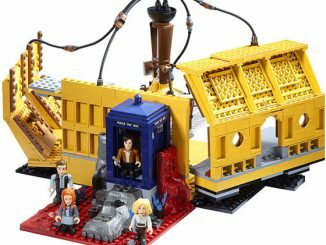 If you’re a Whovian, you’ll probably feel it tastes better just because it’s made in a TARDIS. 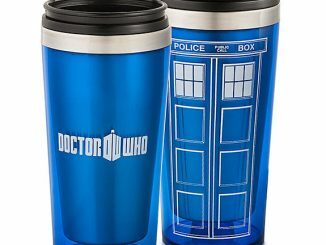 For me, the 34-ounce size is perfect for the 2 large / 3 small mugs of caffeine needed to get going in the morning. 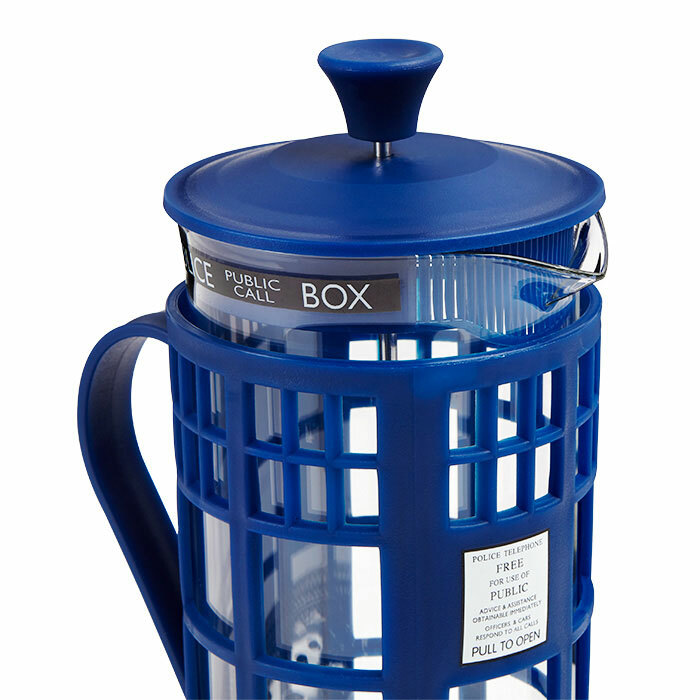 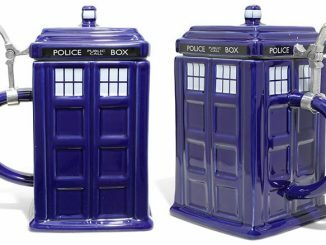 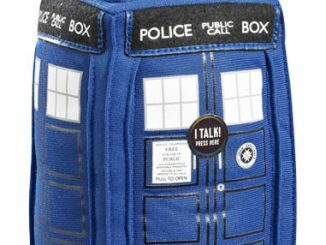 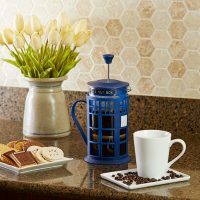 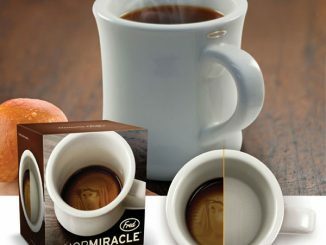 Available exclusively at ThinkGeek, the Doctor Who TARDIS Coffee Press costs $39.99. 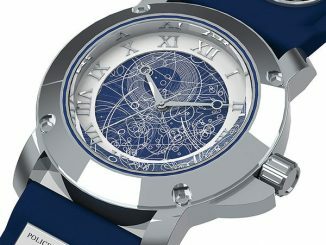 Love the design. 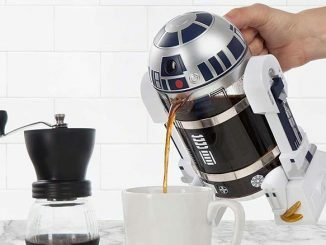 It’s geeky and functional.